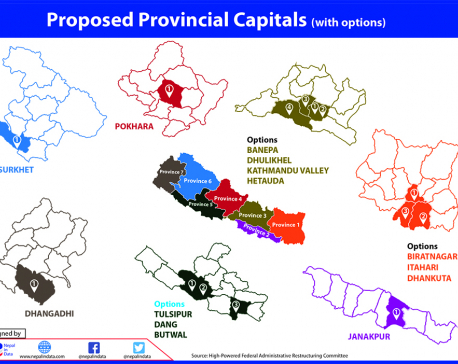 KATHMANDU, Oct 26: With the election of the provincial assemblies just a month away, the government is yet to decide about the capitals of the seven provinces, and this two years after the promulgation of the new constitution. 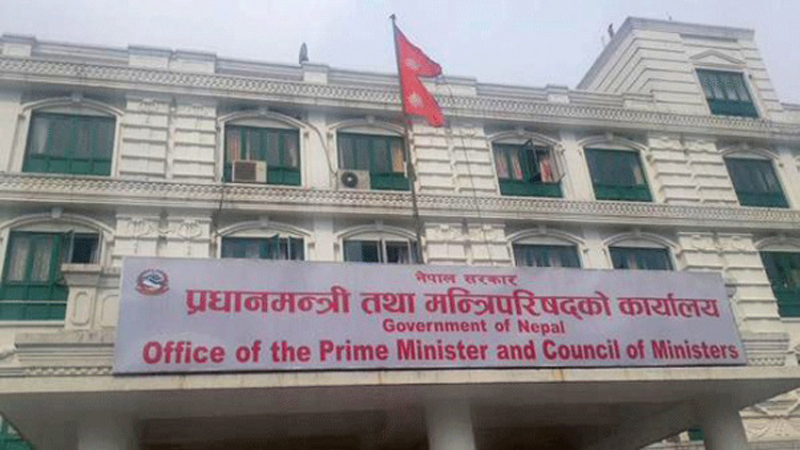 Delay in naming the provincial capitals has put government agencies under pressure as these will have to set up the various offices of the provincial governments at the eleventh hour. The High Level Federal Restructuring Committee has suggested temporary provincial capitals, but the cabinet is yet to take any decision over the commission's report. Asked about the progress in fixing the provincial capitals and appointing the governors, Law Minister Yagya Bahadur Thapa claimed that the government won't let any work to be stalled and will expedite eerything in the last hour. “We have not set any deadline for this task but we will do it soon,” said the minister. The new constitution has entrusted the government with responsibility for fixing temporary provincial capitals. These could be changed later by the provincial assemblies. Due to lack of state-owned infrastructure in most of the provinces, the government should mull taking private buildings and halls on lease, according to government officials. Spokesperson at the Ministry of General Administration (MoGA) Shivaram Neupane said that the ministry is also worried as the provincial assembly elections approach nearer. “We have to manage the civil servants and other facilities for the federal offices but delay in political decisions over fixing the capitals of the seven provinces has caused havoc within our ministry,” said Neupane. The parliament secretariat is likewise in a fix over organizational management for the provincial parliament offices, again due to delay in fixing the provincial capitals. With Prime Minister Sher Bahadur Deuba relieving CPN (Maoist Center) ministers of their portfolios, MoGA is being headed by the prime minister himself. The High Level Federal Restructuring Committee was headed by the General Administration minister, but the absence of the minister has left the committee idle. According to member of the committee Kashi Raj Dahal, the committee had also suggested the number of ministries at the provincial level, in addition to the provincial capitals. He said that seven ministries in each province are being proposed for the initial phase. This number could be increased later by the respective provincial governments. “The government should fix the provincial capitals and appoint the governors before the provincial assemblies are formed. It should expedite all preparations for allocating a budget for the purpose, preparing physical infrastructure and adjusting the manpower,” said Dahal. The committee has also suggested criteria for appointing governors and parliament has already endorsed a bill on perks and facilities for the governors.